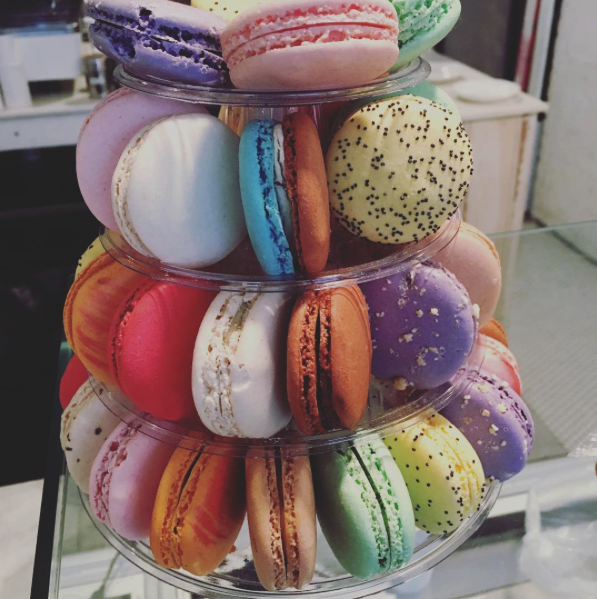 Eat & shop your way through the best of Brooklyn with a local expert. MADE IN BROOKLYN. This tour will truly leave you feeling Like A Local as you shop, eat, and imbibe your way through Williamsburg, Brooklyn. It’s enough food for lunch, features magnificent views of NYC and some street art along the way. While specializing in local boutiques of both independent designers and vintage gems, Amalya tailors her tours to your taste. You will definitely end the day with your new favorite piece! The food includes a couple savory and a couple sweet stops. Great vegetarian options as well. Shop with a fashion expert who will help you look your best. Based on your desires, we can help you change up your style, recommend certain looks and push you out of your comfort zone! A mix of hidden gem boutiques as well as some local favorites. This public tour features women’s shopping. If you would like to focus on menswear, vintage, accessories and/or housewares or furniture, please contact us via this link to schedule a private tour! Includes: ENOUGH FOOD FOR LUNCH; your shopping expert who is also a fashion designer, stylist and licensed tour guide; some history; and shopping discounts (where available). Imaginative, sustainable clothing and textiles all handmade in Brooklyn, NY. With dreamlike crochet shapes and sun-printed silks, these pieces are created for the curious to love. Each piece is one of kind—from the textile, down to the seam finishing. While approaching clothing as wearable sculpture, Amalya's work marries beauty and grit. The polished and exquisitely unrefined mingle through constant exploration in fabric manipulation, silhouette and upcycling. Experimental and distinctive in her design, Amalya practices zero-waste construction, and works predominantly with natural fibers. Most recently she completed Vermont’s 77ART inaugural residency program, presented her latest collection at Paris Fashion Week this fall, and showed work in Miami Art Basel. Her works are currently on display in New York, Vermont, and Philadelphia. Amalya Holds degrees from Central St. Martins, Parsons and Eugene Lang. Whether you’re shopping on a small or large budget, this Brooklyn treasure trove is the place to go for one-of-a-kind shopping.